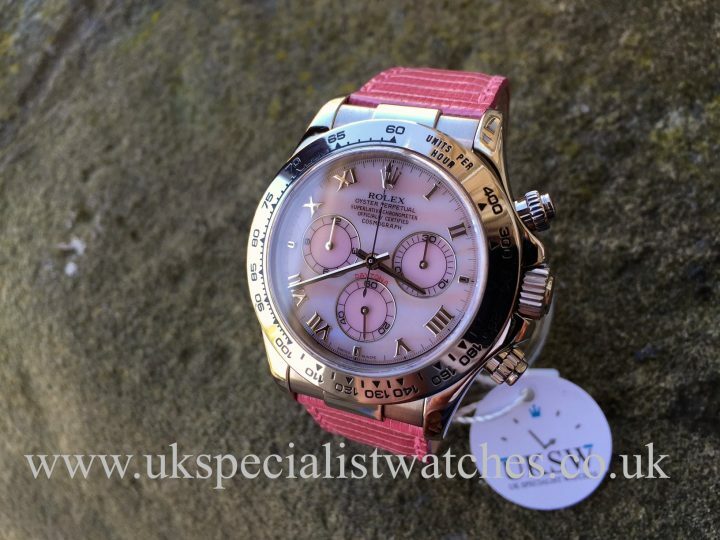 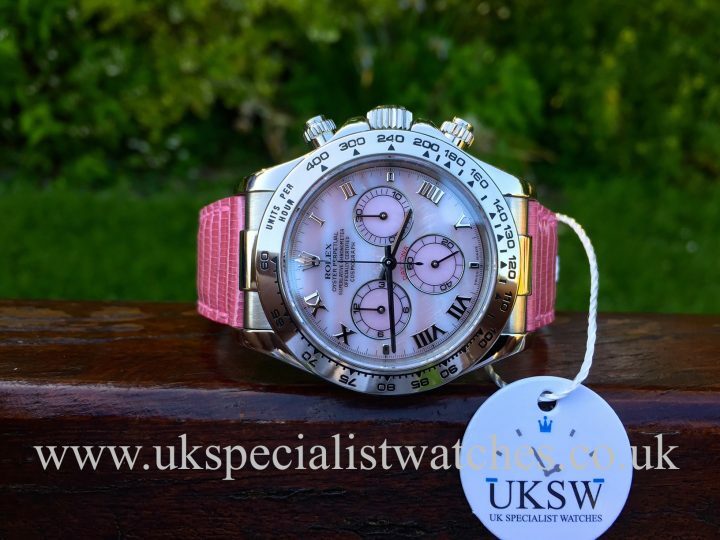 Rolex Daytona Beach 116519, 40mm solid 18ct white gold case with a factory Mother of pearl pink dial, white gold Roman numerals and a solid 18ct Gold tachymeter bezel. 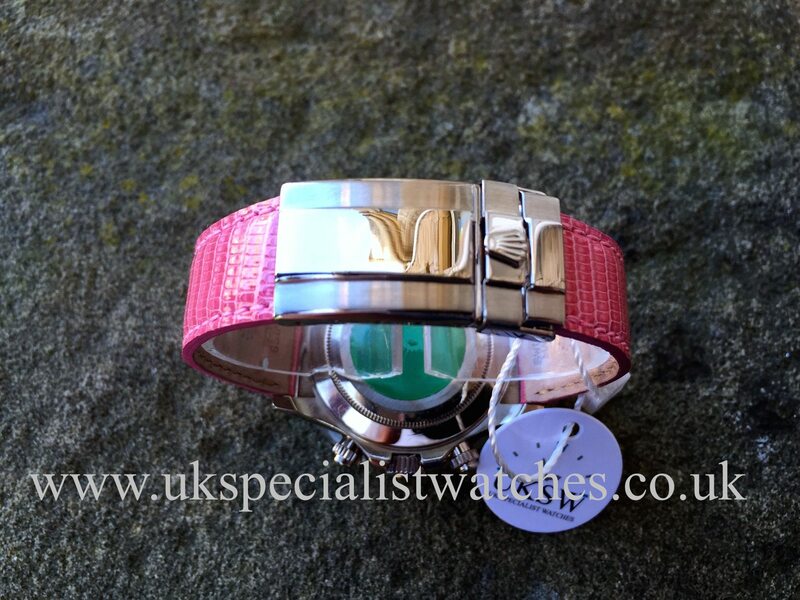 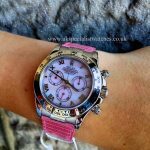 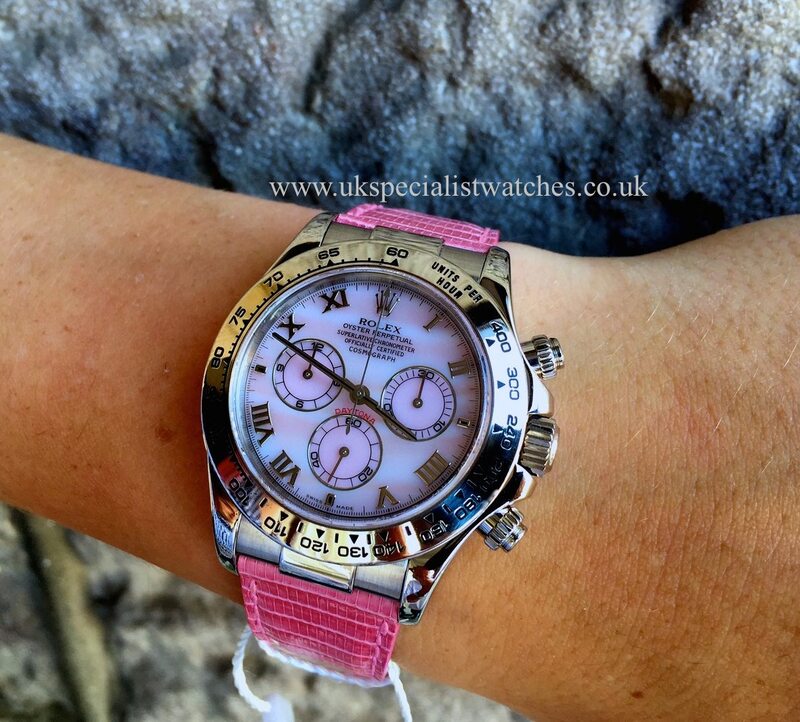 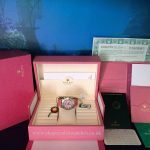 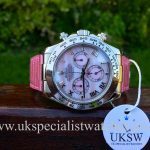 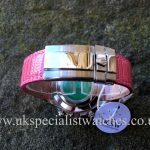 This limited edition pink Daytona beach has a brand new Genuine Rolex pink lizard strap with a white gold double folding clasp. 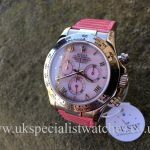 The Daytona beach was produced in 4 different colours, Yellow, Pink, Green and Blue with virtually none for sale in the UK. 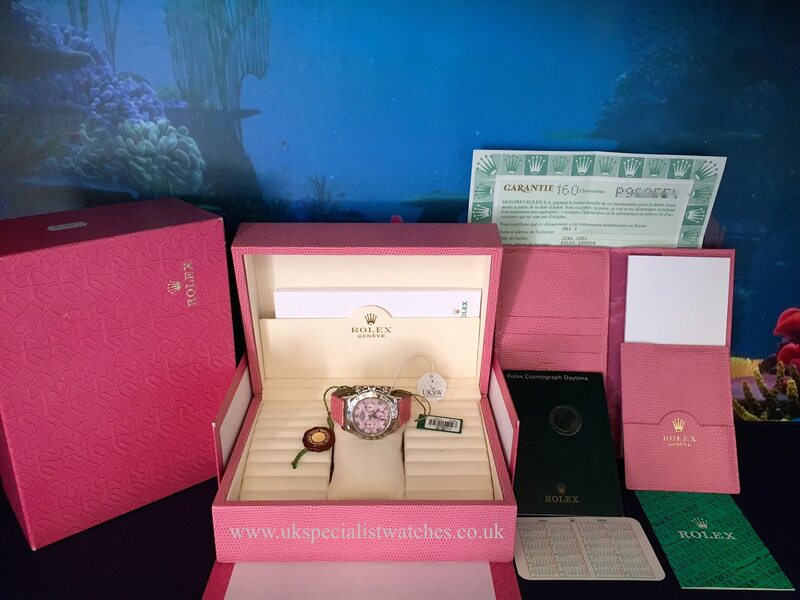 Our full set example was supplied new at Rolex London, June 2001 and comes comes complete with Limited Edition Pink lizard skin Rolex Boxes, punched papers, both swing tags, pink lizard skin wallets, calendar card and translation booklet.